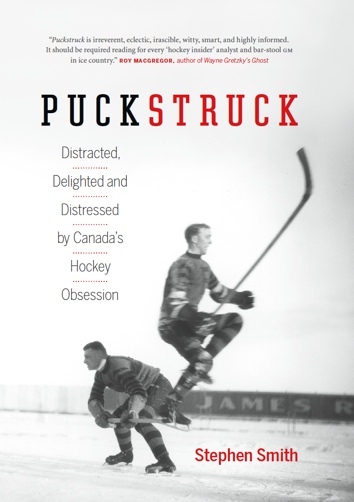 A tale of hockey revenge told in 1955 … what could that possibly look like? Maybe it would resemble the one that played out in Boston in March of that year, when the Bruins’ Hal Laycoe high-sticked and cut Montreal’s Maurice Richard and the Rocket responded in kind, scything his stick at Laycoe’s head. NHL President Clarence Campbell suspended Richard, of course, for his reprisal, and a few days, the city of Montreal exploded into riot. 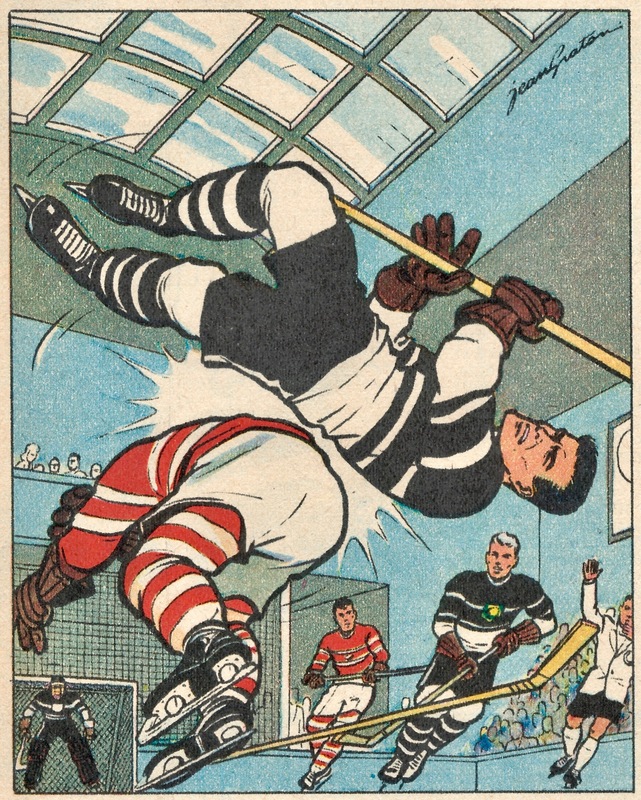 In “La Revanche de Terry,” published just four months later, Jean Graton opted for a less bloody and more wholesome telling of hockey payback. Published in Paris, with Hergé’s Belgian boy-detective as its starring act, Le Journal de Tintin was a weekly compendium of comics for young readers showcasing the work of some of Europe’s best graphic storytellers, including Albert Uderzo, and René Goscinny. Like them, Graton was French. In the later 1950s, a few years before Uderzo and Goscinny launched Astérix and his adventures, Graton settled into his signature Michel Vaillant motorsport series. For his hockey fable, Graton settled on a — what else? — Quebecois setting. 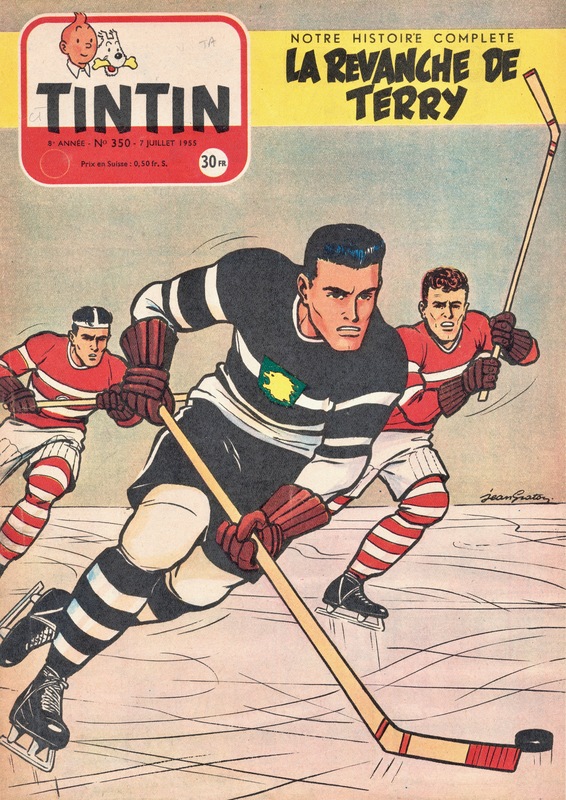 “Dans cette petite ville Canadienne,” there skates an amateur team, the Lions, and as the story opens, they’re welcoming the famous pros from Montreal to town for a much-anticipated exhibition game. Terry Kern is the local star, and the first thing he learns as the Montreal Giants arrive in town is that their star forward, Bill Thompson, is a bit of a preening idiot. Out on the ice, the Lions are game, but they just can’t match the skill and technique of their pro rivals, who surge to a 3-1 lead. When Terry scores to make it 3-2, he makes Bill look like a bit of a fool, which leads to Bill hoodwinking the referee (in his white waiter’s jacket and snappy shorts) into sending Terry to the penalty bench on a bogus call: five minutes for interference. It’s during his extended stay in the box — “le banc d’infamie” — that Terry realizes that he and Montreal’s devious star have met before, fifteen years earlier, when they were boys. By no real surprise, Bill was a preening idiot back then, too. If you need a spoiler alert, this is it. Released from custody, Terry returns to the ice with vengeance on his mind, which he duly exacts by scoring two quick goals to ensure that the game ends in a 5-5 tie. That’s as good as a win, I guess, insofar as Bill … is humbled? I think that’s the moral here. Montreal management is so impressed by Terry’s performance that they sign him to a contract then and there. That’s the end, pretty much, if not quite: Jean Graton devotes the last three panels of the comic to a finale that in a 1955 Montreal context might qualify as a surprise ending: Bill and Terry share a laugh, make their peace. Revenge, I guess, can be sweet.